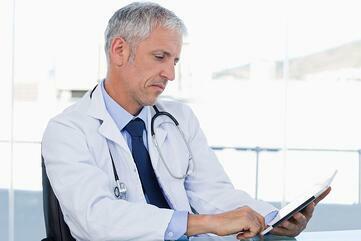 A new study from Black Book Research states that physicians are looking for more advanced Electronic Health Records. The study predicts that 30% of physician practices, with 12 or more doctors, will be looking to swap out their current EHR in the next 3 years. The physicians are looking for more advanced utilities to improve patient care. smoothly. For example, software with a built in practice management solution, revenue cycle management services, more customizable features to better suite their practice needs and cloud based programs you can access anywhere at anytime. According to the study, providers are starting to crave the on demand accessibility that a cloud based EHR offers. The more advanced EHR systems will typically offer a better view of your practice's financial performance, compliance tracking and quality goals. Another feature that practice's are looking for is speech recognition and telehealth or virtual care capabilities. The study found that smaller practices tend to under-utilize the more advanced features such as patient engagement tools, electronic messaging, clinical decision support and that interoperability is still a sticking point for those providers. In a recent article¹ posted by Healtcare IT News, managing partner of Black Book, Doug Brown stated that "Traditionally, it has been the smaller and solo practices with the highest dissatisfaction ratings for electronic health record applications but we confirmed also that the smaller the practice, the less likely they are to use advanced IT tools and that is where EHR frustration among small practices is generally focused." The study also found that majority of practices us the following EHR functionalities most often: data repository, order entry and results review. Healthcare IT news also sited a secondary Black Book study, which found that 91 percent of patients younger than 50 years old said they prefer tech-savvy practices with advanced capabilities and connectivity. Miliard, Mike. “30% Of Physician Practices to Replace Their EHR within 3 Years, Black Book Says.”Healthcare IT News, 16 Apr. 2018, www.healthcareitnews.com/news/30-physician-practices-replace-their-ehr-within-3-years-black-book-says.